I used to bake these muffins for my late grand mother who passed away recently. She was diabetic and this recipe came recommended by her doctor. Beat together eggs, sugar and oil. Add all the dry ingredients, grated apples and sultanas. Mix the milk and vanilla and add to the flour mixture. If you do not want to bake the batter immediately you cannot freeze the batter, but it can be kept up to 30 days in the fridge. Baking Tip: use an ice cream scoop to fill your muffin molds. 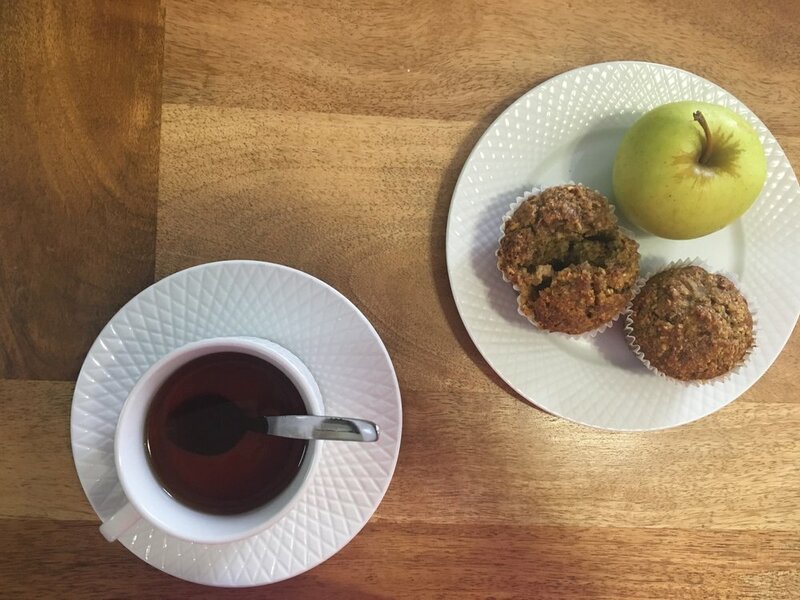 Despite all the oat bran and the bran these muffins have been loaded as much as possible without sacrificing the texture. It still tuned out to be an immediate carbohydrate. It is the flour that does this, NOT THE SUGAR. Even if we have the sugar, the GI does not come down. In loving memory of my Grandma Ma Doreen.